Top of the Class- Yorkshire Post. Summer Lane Primary has been selected by the Yorkshire Post as one of Yorkshire's highest achieving schools. 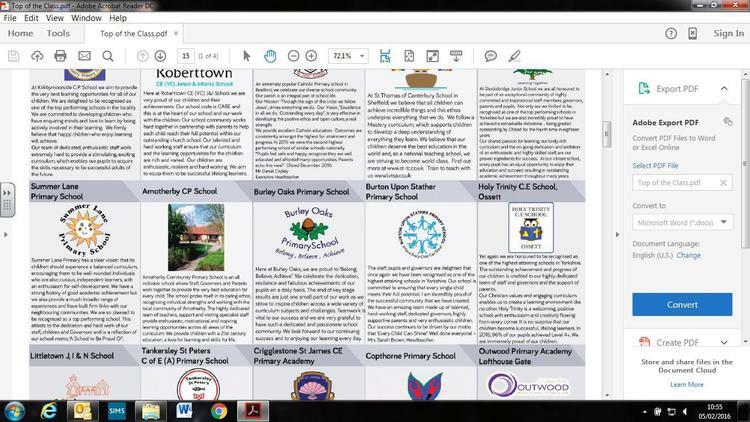 In case you missed it the PDF of the supplement can be found by visiting the ‘Welcome’ page on our ‘About Us’ section.